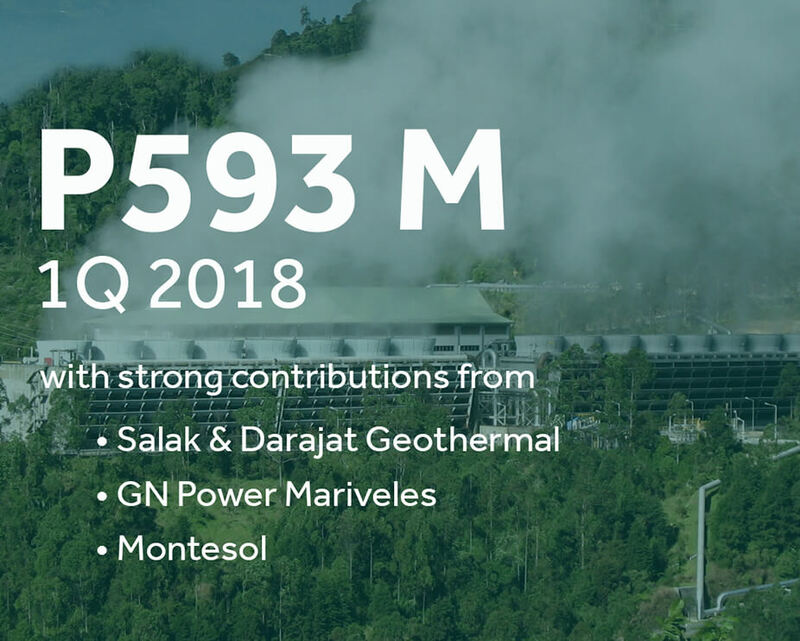 May 11, 2018 – AC Energy nearly doubled its net profits in the first quarter of the year to ₱593 million, boosted by robust contributions of its Indonesia investment and thermal and renewable platforms. Equity earnings from AC Energy’s investee companies also doubled to ₱822 million led by fresh contribution from Salak and Darajat in Indonesia. In addition, higher generating capacity of its thermal unit GN Power Mariveles and solar farm Montesol supported AC Energy’s profitability during the period. All these cushioned the impact of development costs incurred from its projects under construction. As of the first quarter, AC Energy has a total attributable capacity of around 1,600 megawatts from thermal and renewable plants in operations and under construction. It has a target to ramp this up to 2,000 megawatts by 2020, with 1,000 megawatts to come renewable sources. In parallel, it has a goal of achieving a net income of ₱5 billion by 2020.